TODAY’S SHOW Host: Irwin Oostindie @DutchPhoto. 16:45 Other news headlines: from #SiteC, Calais refugee children, Venezuela’s rightwing coup attempt, Netherlands’ far right, Malaysia to buy China naval vessels instead of American vessels, and more. Steven Henderson of Vancouver Communalism previews their conference: Struggles for Self-Determination from Rojava to British Columbia, Saturday, Oct 29, 10am-5pm, SFU Harbour Centre, Room 1700. – Nissy Arif, teacher and Kurdish activist. – Cody Bergerud, Victoria based activist and former YPG medic and participant in Tev-Dem. – Alex Moreau & Baz Andok (nom de guerre), Vancouver based veterans of YPG and Tactical Medical Unit (TMU). – Firat Kabak Batman (nom de guerre), Swedish Kurd who is serving in the TMU. – Chris Shaw, Vancouver-based activist. – Kanahus Manuel, Ts’Peten Defense Committee. – Steven Henderson, Vancouver-based communalist. – Ama Tierney, US based journalist and activist. Roger Annis at newcoldwar.org: “NATO is in the midst of a two-day meeting in Brussels of defense ministers of the military alliance’s member countries. (Yesterday) the meeting announced decision to escalate NATO’s threatening military posture against Russia by land, sea and air. The escalations will take place in the Baltic and Black seas, and along Russia’s borders with the Baltic states and Poland.” What are the implications of US policy and Trump rhetoric towards Russia and European security. How is political and military jargon with the US election causing NATO to gather at the Russia border and how are the real threats of annihilation of millions of human lives simplified in matter-of-fact terms and election sound bites. First and foremost a rhapsodic visual response to a place and the people in it, KONELĪNE engages the senses with its ravishing aerial views and staggering vistas (as well as its superb, subtle sound design). On at least three separate occasions, Wild catches something thrillingly new and raw on camera, whether it’s a moose coming to a sticky end, horses being cajoled across a torrential river or a power transmission tower being painstakingly lowered into place by a massive helicopter. 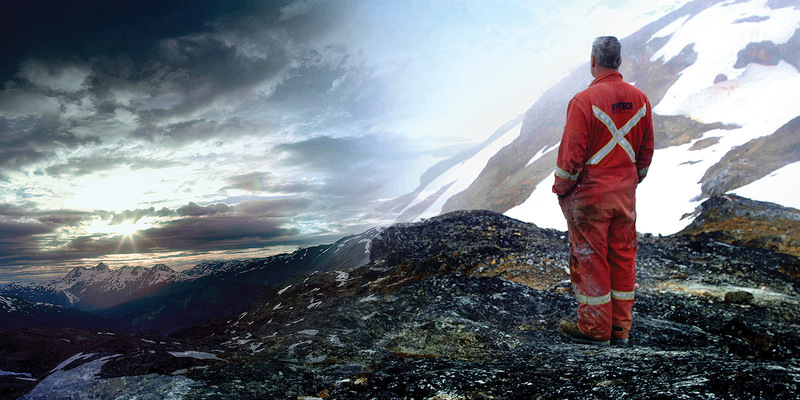 Then there’s the sequence where fish are airlifted up river for their own protection… And the scenes where a member of the Tahltan First Nation discusses his efforts to learn his native tongue (“koneline” means “beautiful land”)… By no means a polemic, the film is instead a meditation on different cultures, different conceptions of time and value, and a glimpse of the something that will surely outlast us all. Coast Salish opener, Speakers, Drumming and praying. We see all the things that are happening on fb live. We want to bring all nations together in coast salish territory to bring awareness, show solidarity, peacefully pray and gather. We also want to raise some funds for the legal funds. 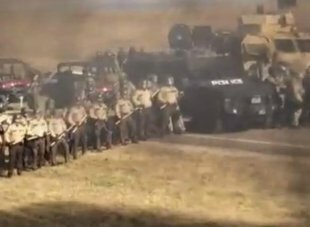 lets get together and stand in solidarity with Standing Rock.. soo we can pray, sing and create awareness towards the stand off in that territory please come one! come all. OPENING RECEPTION: October 28, 7:00 PM – 10:00 PM at grunt gallery; with performances throughout the day. LOCATION: park behind grunt (E 5th Ave @ Brunswick) Rain or shine! Rally For Affordable Housing in Vancouver. 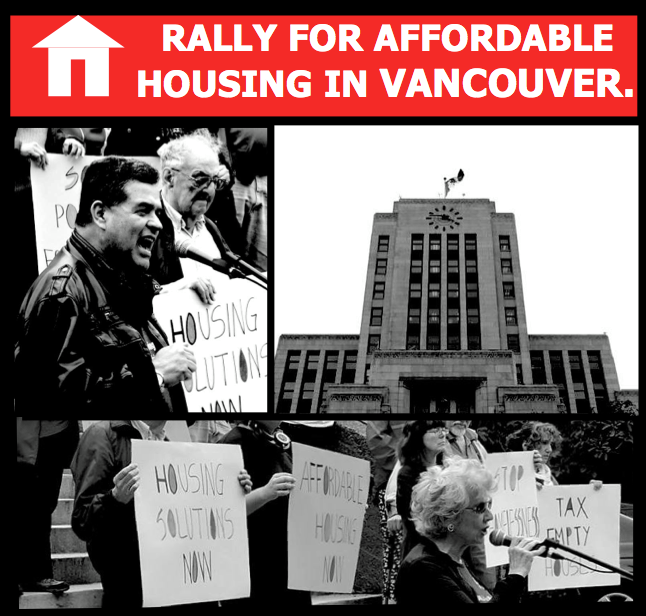 Rally to demand the City of Vancouver take immediate steps to regulate the housing market. North side of Vancouver City Hall, 453 W 12th Ave. Interested in genuine reconciliation and want to make “territorial acknowledgements” matter? Learn about Musqueam, Squamish and Tsleil-Waututh protocol practices and how settlers can integrate reconciliation steps into their own or their organisation’s regular work. Deepen your practical understanding of colonialism and be an ally in confronting Coast Salish cultural erasure here in the Unceded Territories. EXTRAS WE COULDN’T FIT IN !! A new Edward Snowden? Real News clip on former whistleblower William Binney says the arrest of Harold Thomas Martin could be tied to the August release of NSA source-code.